When it comes to car insurance, military members are turning to us. 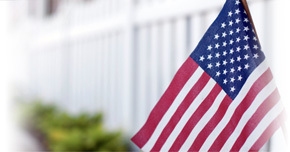 Direct Auto & Life Insurance is proud to support our U.S. Military with insurance designed for service members. With affordable premiums and customizable payment plans,* Direct Auto is the insurance company for many service members who are looking for the right coverage. Find out more about how Direct Auto takes care of military men and women and their car insurance needs in Columbia. Direct Auto is aware that military members in the Columbia community have a variety of choices when looking to purchase car insurance. But when you go with Direct Auto, you'll get personalized insurance coverage that fits your needs and one of our representatives can better explain all the insurance basics like liability coverage and medical payments auto coverage. That's why we provide digital resources like the Coverage Assistant. By using the Coverage Assistant, you can establish what insurance matches your needs and allocated budget, without spending more than you'd like on coverage. Direct Auto also helps customers with every detail in the coverage process, describing what your plan covers and answering any questions you may have. From Collision Coverage to Rental Reimbursement, to Rental Reimbursement, we want to make sure our military car insurance policyholders understand how their plan works for them. Many of our Direct Auto customers are on-the-go, which is why we designed the DirectDrive app.† The app allows customers to track their driving habits and learn how to improve with real-time feedback, which could help them drive safer & earn them in-app bonuses. Need to pay your car insurance bill now? Like right now? You can do that with DirectDrive too! With just a clicks, you can pay your Direct Auto bill, get up-to-the-minute driving assessments, and interact with other DirectDrive app users without ever having to slow down your busy life. Interested iPhone and Android users can download the app from their app store for free! Ready to see how Direct Auto helps military members in Columbia with their car insurance needs? Contact us at 1-877- GO DIRECT or get a quick quote for auto coverage online!